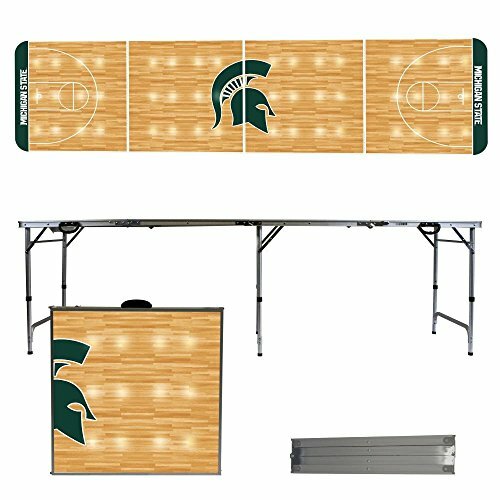 Our quality 8 foot pong tables are made for portability. Simply fold it up, grab the built-in handle and go. The table frames are built of aluminum so they are lightweight, sturdy and rust proof. The acrylic tops are customized with a quality vinyl overlay using high-end latex inks and liquid sealants so it stands up to your biggest parties. Each table includes six balls and an attached stainless steel bottle opener.